Growing accountancy and business advisory firm Jerroms has merged with a Worcestershire rival as part of expansion plans. Solihull-based Jerroms has agreed the merger deal with Bromsgrove firm Harrison Priddey & Co as it looks to attract new clients across south Birmingham and Worcestershire. The combined firm will practice under the name of Jerroms though the Bromsgrove operation will be styled as Jerroms Priddey, with the total number of staff at the combined business now totalling more than 70. Founded in the early 1970s, the Worcestershire accountancy and tax practice, which has 14 people based at its Bromsgrove offices, provides a wide range of accountancy and business advice with a focus on taxation. 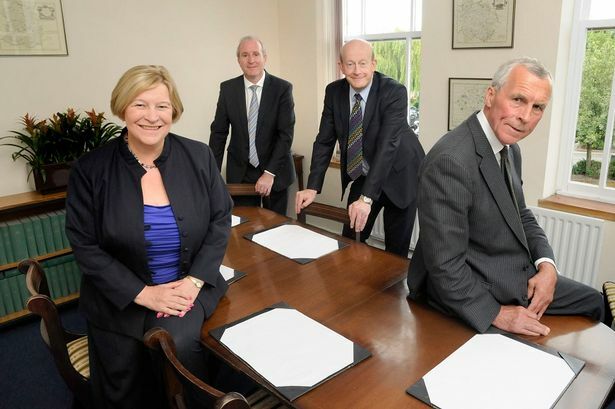 Former partners Stephen Priddey and Cynthia Hammond will be remaining with the business as consultants. Jerroms director Mark Eden, who previously lived in the Bromsgrove area for a number of years, said: "The merger was a strategic decision and we are delighted to be working with Harrison Priddey & Co.
"Both firms share the same values and a similar approach to looking after our clients and meeting the needs of those who introduce work to us." With a focus on supporting owner-managed businesses, the combined firm said it had access to increased resource and expertise to enhance the depth and breadth of their services. "From the platform of the combined firm, we will be able to add the value that comes from additional specialisation as well as a business-focussed approach," added Mr Eden. "North Worcestershire is a vibrant business area and our aim is not only to serve our clients even more effectively but to increase our client base in this area and in south Birmingham. "We are particularly optimistic because this part of our region is benefiting from economic recovery driven by a higher level of confidence in the future."